Hundreds of people living with Parkinson’s across North Derbyshire are to be left without the vital support of two community-based specialist nurses thanks to ‘cost-saving’ measures to be announced tomorrow (Thursday 28 June), a leading charity has warned. According to Parkinson’s UK, decision makers in North Derbyshire are planning to decommission a Specialist Movement Disorders Nurse and a Neurology Nurse, which currently support more than 800 people with the debilitating condition across the area. Parkinson’s is a progressive neurological condition with no cure, and specialist nurses are crucial to supporting people living with the condition by closely monitoring and adapting the complex medication regimes that are key to managing symptoms. Rather than causing a drain on NHS budgets, these nurses have been proven to save more than a quarter of a million pounds of NHS money each year (around £270,000 per Clinical Commissioning Group) by reducing unplanned hospital admissions and consultant appointments. “Community-based nurses like these are critical to managing this complex and fluctuating condition and are a lifeline to local people by delivering specialist support. “By decommissioning these nurses, people with Parkinson’s across North Derbyshire will have no alternative but to access the hospital-based support up to 50 miles away at Royal Derby Hospital. This means hundreds of elderly people with a chronic movement disorder could be forced to travel more than two hours using notoriously unreliable public transport to get the support they need. Delia Britland, aged 69 from Chesterfield, is just one of the people with Parkinson’s who is set to miss out should the specialist nurses be decommissioned. She said: “I’ve been living with Parkinson’s now for 14 years. Since my nurse, Christine, started, she’s been a great support. When needed, she would often visit me in my home and has got to know me personally – and I her. It’s been wonderful to have someone who I can contact to talk through my concerns. “A few years ago, my medication wasn’t working well at all. I was feeling very sick and had stopped being able to do some of the things that I loved – like sitting still and reading a book. Christine could see how miserable I had become and she suggested that I stay off the medication which was making me feel unwell and try a different treatment – deep brain stimulation (DBS). Even though the thought of brain surgery was daunting, she put me at ease about it all and worked closely with my consultant to make sure I got the surgery I needed. Now I feel so much better and can do all the things I used to be able to – it really has changed my life. The issue has caught the attention of local politicians too. 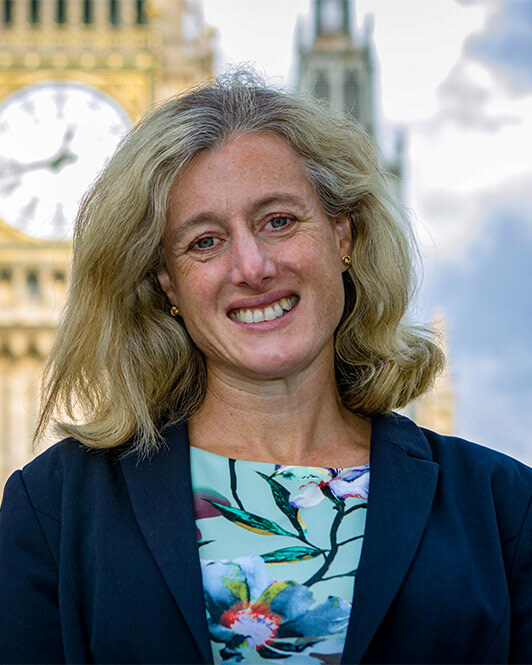 Ruth George, MP for High Peak, said: “It’s very concerning to hear that North Derbyshire CCG are proposing to make changes to services that will have such an enormous impact on local peoples’ lives without consultation. I have heard from several local constituents who are very concerned and I support the work Parkinson’s UK are doing to address this serious issue. Parkinson’s UK are now urging supporters to email the CCG to reverse the decision via www.parkinsons.org.uk/Derbyshire.